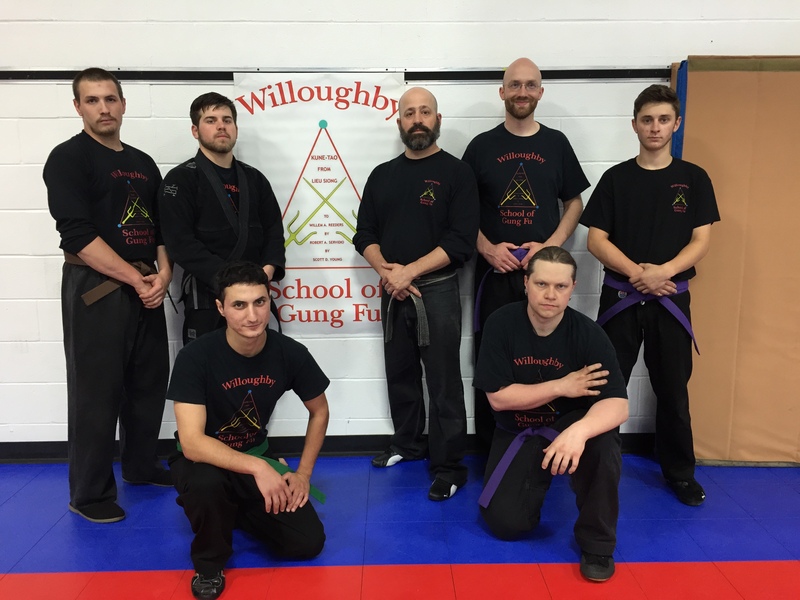 The Willoughby School of Gung Fu would like to congratulate Keith Kilian on his promotion to Brown Belt Evan Bennett, Jacob Ferrara and Ben Szymanel on their promotion to Purple Belt and Arman Tovmasyan on his promotion to Green Belt on May 19, 2015. This entry was posted in Belt Promotions and tagged Arman Tovmasyan, Ben Szymanel, Brown Belt, chinese kune tao, Evan Bennett, Green Belt, Jacob Ferrara, Keith Kilian, Promotion, Purple Belt, The Willoughby School of Gung Fu. Bookmark the permalink.